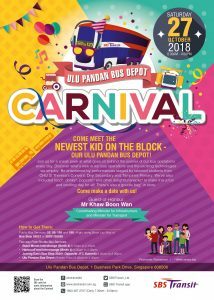 SBS Transit hosted a carnival at Ulu Pandan Bus Depot on Saturday, 27 October 2018 from 8.30am to 4 pm. 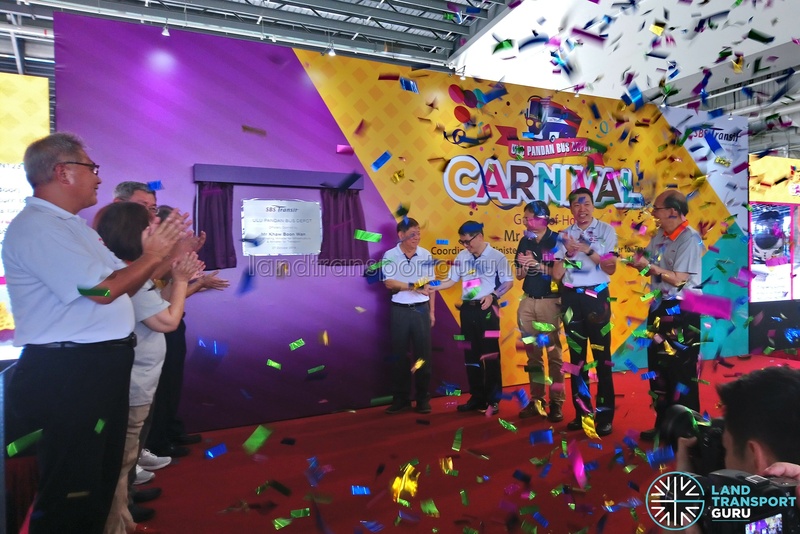 The carnival showcased the newly completed Ulu Pandan Bus Depot and its facilities to the public. 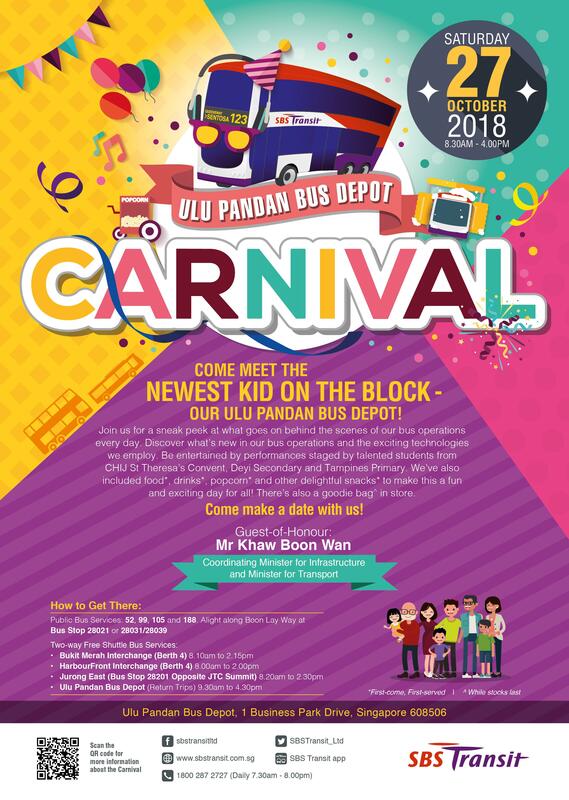 Similar to the Seletar Bus Depot Carnival held in January 2018, the Ulu Pandan Bus Depot Carnival featured several static display buses and exhibition booths by vendors in the Transport Industry. 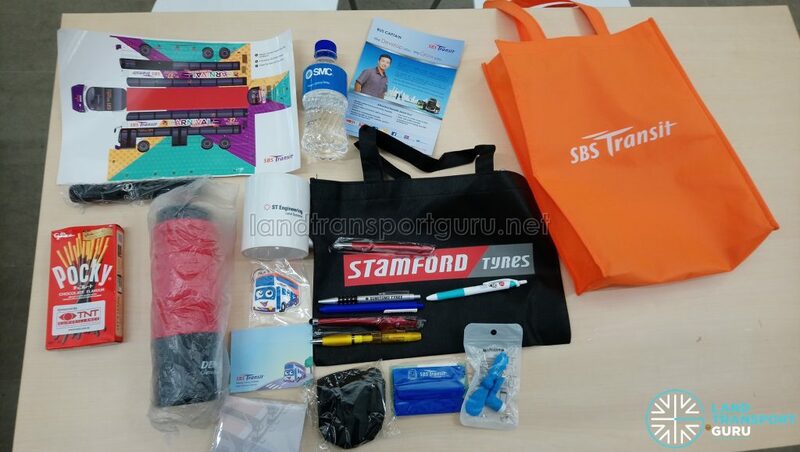 SBS Transit was awarded the Bukit Merah Bus Package in February 2018, which was the fourth Tendered Contract (TC) awarded by LTA under the Bus Contracting Model (BCM), which introduced a competitive scene of bus operators bidding for various route packages and a share of the market. 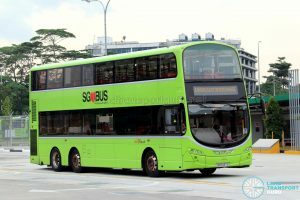 SBS Transit was also the previous incumbent operator of all 18 bus routes under the package, which SBST was operating under a Negotiated Contract (NC) model since 1 September 2016. SBS Transit will transition the 18 bus routes from NC to TC later on 18 November 2018. 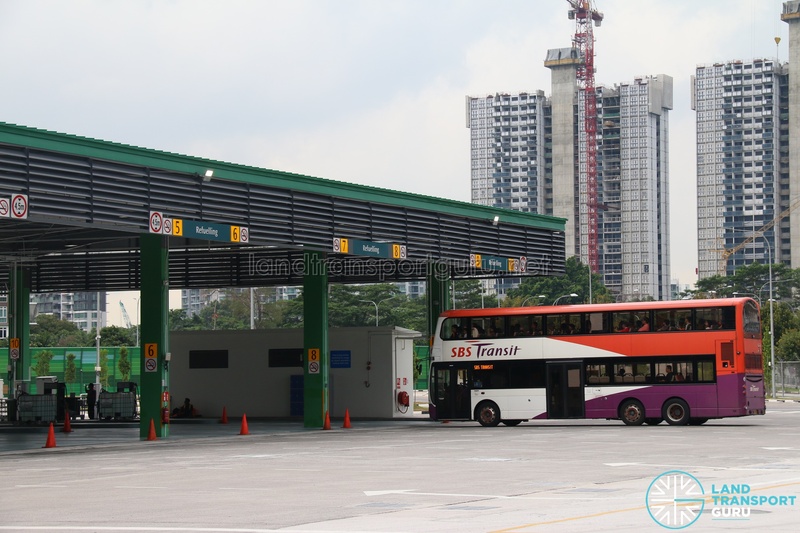 As the awarded operator of the Bukit Merah Bus Package under TC terms, SBS Transit will operate these routes for five years, with a two-year extension granted based on good performance. 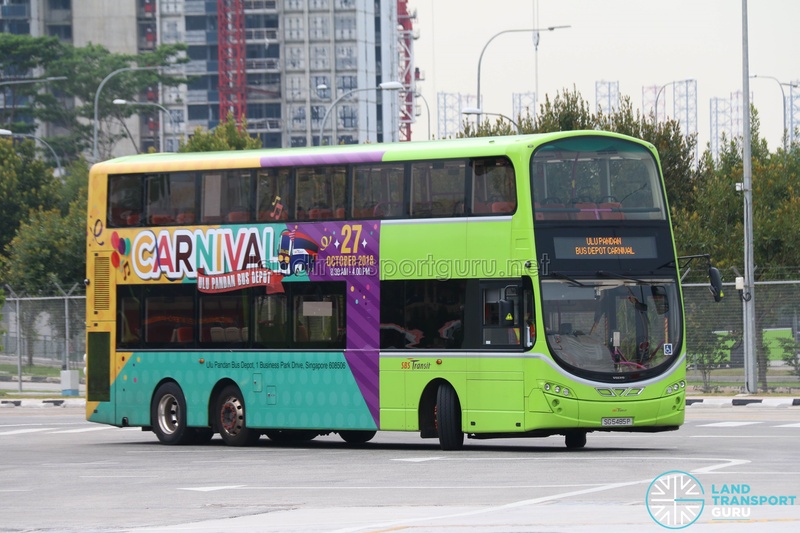 Previous Carnivals held in relation to the Bus Contracting Model includes A Bulim Bus Carnival Day by Tower Transit at Bulim Bus Depot, and the Go-Ahead Singapore Bus Carnival by Go-Ahead Singapore at Loyang Bus Depot. 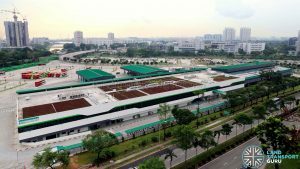 Ulu Pandan Bus Depot accommodates 470 buses and is equipped with facilities for daily bus operations, bus repair and maintenance, bus parking areas, offices, a rest area for bus drivers, and a canteen. The depot is split into two halves by Business Park Drive, with the main building, fuel pumps, bus washing machines and some parking lots on the eastern half, while the other half consists of bus parking lots. 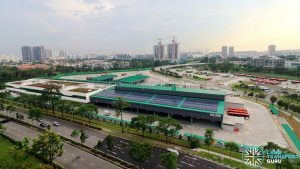 The bus depot was handed over to the first incumbent, SBS Transit, in mid-2018 for outfitting and preparatory works before the TC part of the Bukit Merah Bus Package commenced operations. 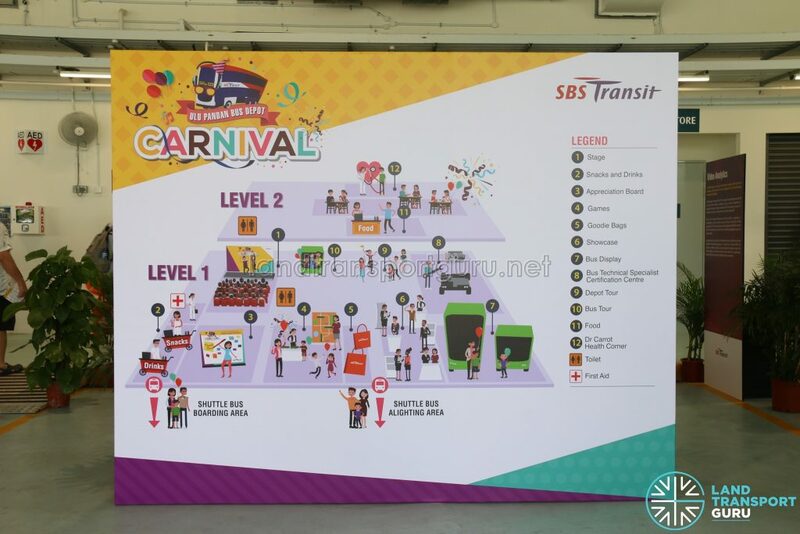 A wide variety of activities was prepared for the public by both SBS Transit and invited Exhibitors. Guided Depot Tours and Bus Wash Tours were conducted throughout the event. Several game stations were also available for the young and young at heart. Volvo, Singapore Technologies, TNT Surveillance also showcased their products at booths. Food and drinks were also provided at no cost. Pokka drinks, Popcorn, and Ice-Cream were available on the event ground, while NTWU Canteen provided packed meals with the presentation of the food coupon. 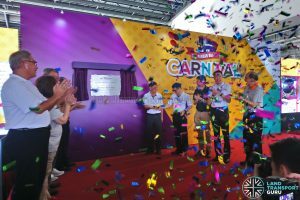 Coordinating Minister for Infrastructure & Minister for Transport, Mr Khaw Boon Wan, graced the event with an official opening ceremony at 10am. He was accompanied by Mr Melvin Yong, Assistant Secretary-General in the National Trades Union Congress. 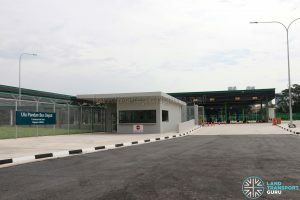 The Depot is located at 1 Business Park Drive, Singapore 608506, within walking distance from Boon Lay Way. 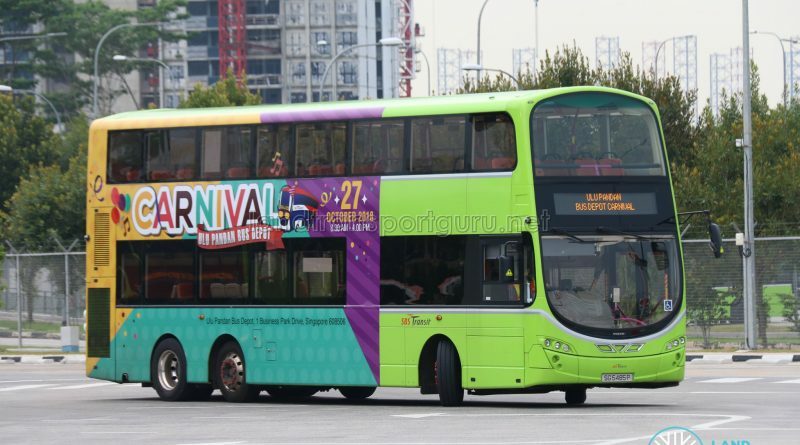 Two way free shuttle bus services were offered from Bukit Merah, HarbourFront and Jurong East. 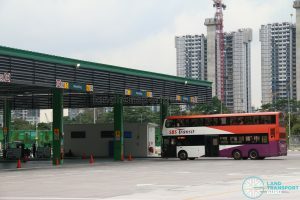 The bus depot is located between EW23 Clementi and EW24NS1 Jurong East MRT Stations. Return trips from Ulu Pandan Bus Depot to all destinations operated between 0930—1630. 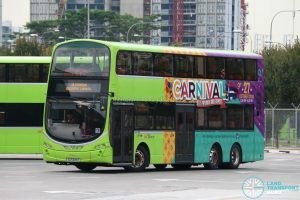 Enjoy Free WiFi at the carnival and on the Shuttle Buses! 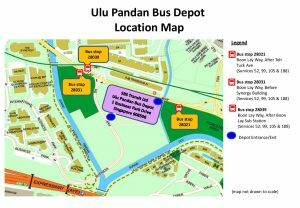 Do all bus services’ buses assigned to Bukit Merah Bus Package be eventually transferred to Ulu Pandan Depot? 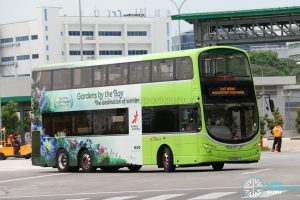 I noticed for instance service 145 buses some of them are still coming from Braddell Bus Park. Some routes not belonging to Bukit Merah contract are also based at UPDEP. These are 65, 80 and 132.